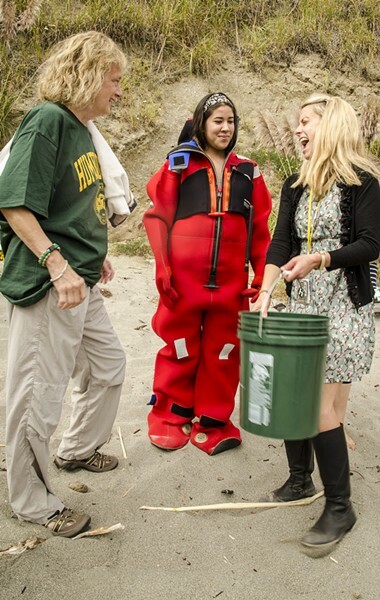 HSU freshman Veronica Rivera in a dry suit and HSU President Lisa Rossbacher soak HSU Associated Students President Jerry Dinzes. 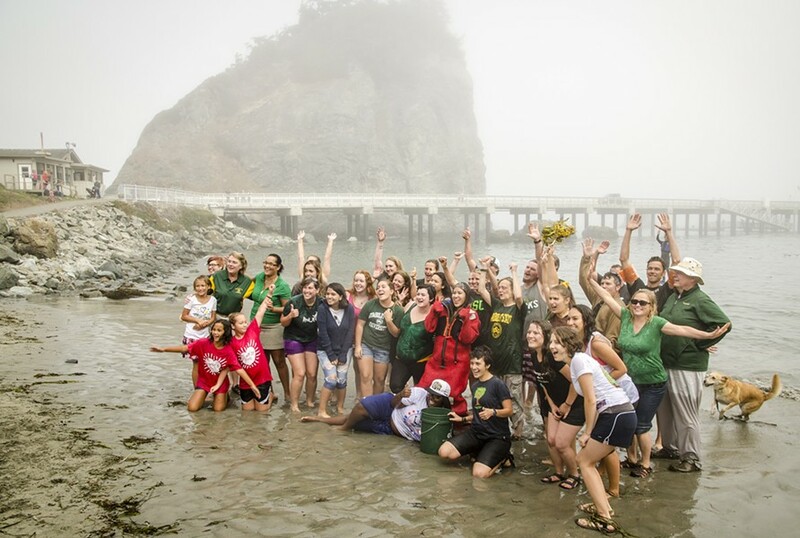 In the midst of one of the worst drought periods in California's recorded history, it was a "sustainable" (drought-friendly) idea by Humboldt State University students and staff to do the ALS Ice-Bucket Challenge on Sept. 12 by jumping into the Pacific Ocean in Trinidad Harbor. HSU and other campuses were responding to the original drought-friendly challenge at Chico State University. It should be noted, however, that when Chico students took the plunge, they did so into a heated swimming pool. Drought friendly? Yes, but decidedly not ice buckety. 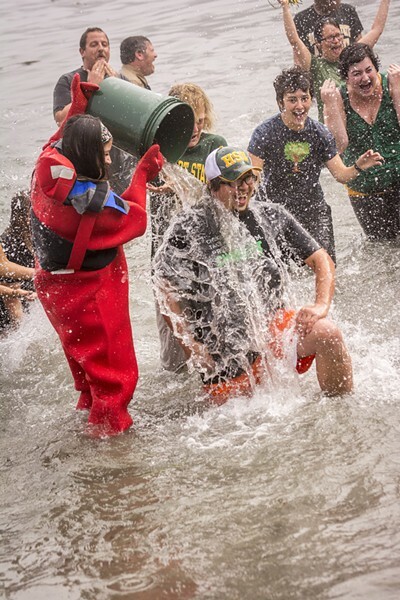 HSU President Lisa Rossbacher, freshman Veronica Rivera (in a dry suit) and campus staffer Courtney Haroldson discuss preparations for the "sustainable" Ice-Bucket Challenge. 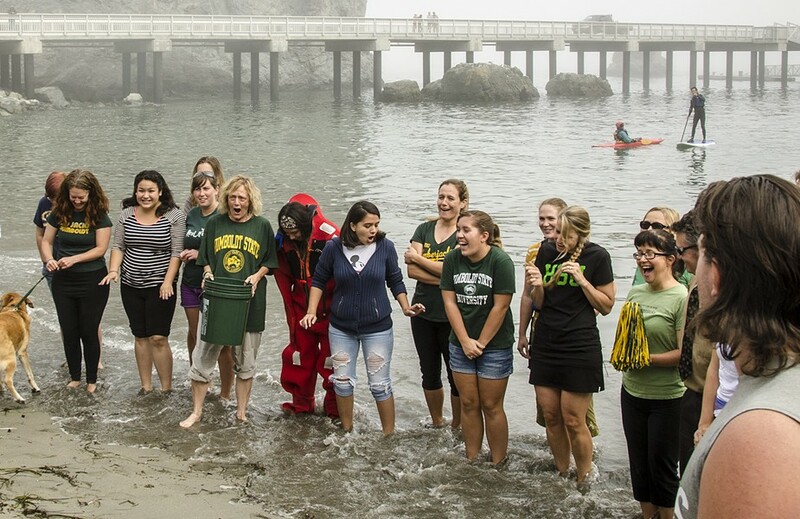 HSU President Lisa Rossbacher (center-left with bucket) and other participants in the "Sustainable" Ice-Bucket Challenge react to water-temperature as a wave washes over their feet prior to their plunge. 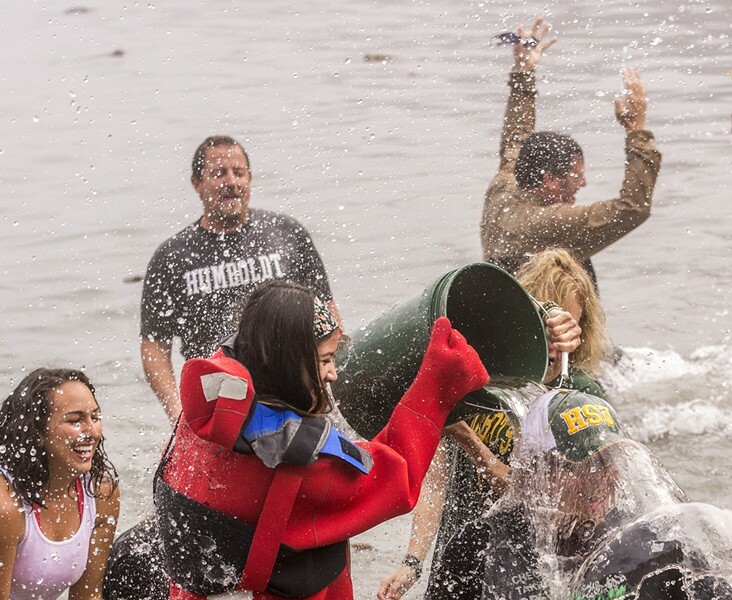 HSU students, faculty and staff take to the waters of Trinidad Harbor in response to the Ice Bucket Challenge levied by Chico State University. 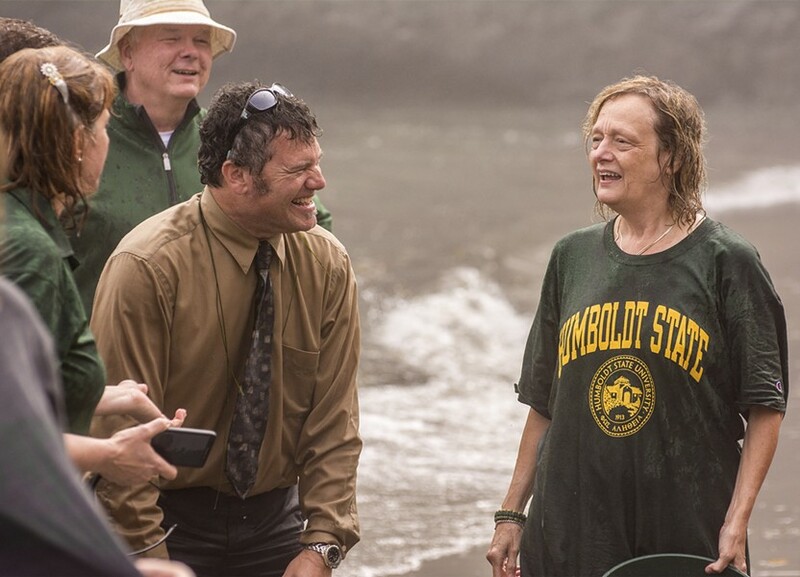 HSU registrar Clint Rebik (left) compares experiences with HSU President Lisa Rossbacher after emerging from their "sustainable" Ice-Bucket Challenge. The HSU group takes a moment to pose for the camera after the plunge.